The business of selling imported smartphones is pretty hot right now, as the US carriers are more stringent in their testing and approval phases, so the newest gadgets from Samsung and HTC, for example, come later here than in the rest of the world. 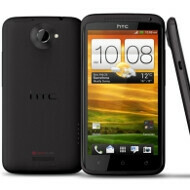 Daily Steals is at it again, with its one-day-only offering of an unlocked HTC One X with a quad-core Tegra 3 processor (the international GSM version) for $629.99. Shipping and handling will set you back another five bucks, but the end $635 price is a pretty good offer for what is probably the hottest Android handset on the market right now, if you can't wait until the dual-core One X version lands on AT&T. The site recently had a one-day sale of the 16GB GSM Galaxy Nexus, so it is apparently fixated on juicy Android offerings - nothing wrong with that. No taxes added when I try to buy. I guess out of State purchase? 56 for tax??? Where the hell do u live? For me tax would only be 31. Already ordered mine through expansys. much better and more reliable service. Just waiting patiently for the polar white to arrive. Actually, I have ordered several items through them and have not had any issues. They don't have the fastest shipping and the boxes aren't always perfect but the product inside has been great every time. Their other site, icemonkey.com has the black GSM Galaxy Nexus for $459.99 and free shipping too. well, thats cheaper than the nexus by a few bux and packs more hardware. Not too shabby. Now, HTC, tell me how you have stopped locking your bootloaders and maybe we will talk.